On the first of February, Aston-Mansfield successfully launched their Fitter Finance Programme in Durning Hall, Forest Gate. Organisations such as The Magpie Project attended the event to find out more about this exciting project. Funded by the City Bridge Trust, the project is aimed towards new or small voluntary organisations in Newham. The team aim to provide much needed support for these voluntary groups through improving their financial skills, knowledge and practice. In doing so, Aston-Mansfield hopes this will enable voluntary groups to have greater resilience and financial health, ultimately leading to better provision for local communities throughout Newham. The programme will assist these organisations to get the best possible start in their financial journey. 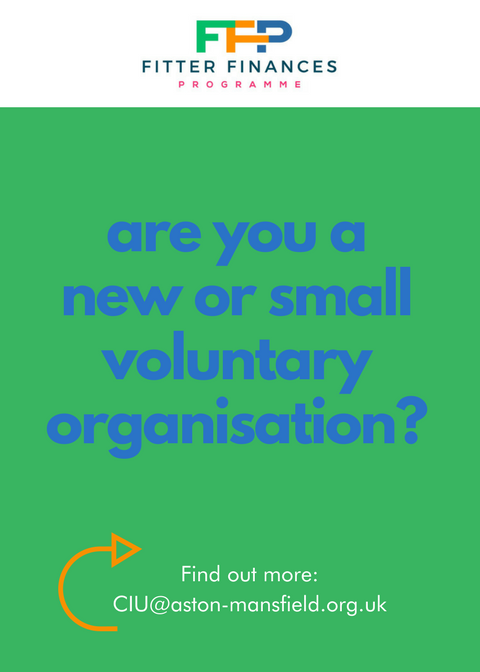 This unique programme will deliver several activities to ensure that voluntary organisations are confident in their financial knowledge. Those who join the programme can expect to attend numerous workshops, 1-2-1 surgeries and large networking events, and have access to financial toolkits, fact-sheets and more. To meet the needs and demands of the local community, the team will be delivering these activities in eight local places: Applecart Arts Art Centre, Canning Town Library Rathborne Market, Durning Hall Community Centre, Froud Centre, Saint Marks Church & Community Centre, The Stratford Arcade, Trinity Centre and Well Community Centre. 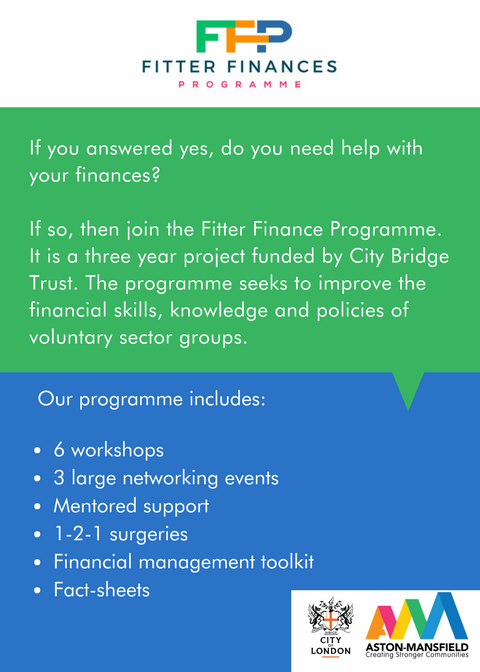 What’s more, thanks to the generous funding of the City Bridge Trust, Aston-Mansfield are offering this programme free of charge for small charitable organisations in Newham. If you’d like to be part of this new and innovative programme, or you would like to find out more information, the please send an email to CIU@aston-mansfield.org.uk with Fitter Finance in the subject line of your email.